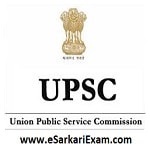 Education Qualification : Applicants Should Cleared UPSC Civil Services 2018 Preliminary Exam. Eligible Candidates can Submit Mains Exam Application at the Official Website of UPSC latest by 18th Sept 2018. Open Indian Forest Service Mains Examination 2018 Link. Read Mains DAF Notification Details. Open IFS Main Exam 2018 Link. Now Click on Registration Link.